Normal is a bit arbitrary. With high resolution monitors, the programs can look a bit small. In most all the programs, there is an option to re-size each window to whatever size you want — just drag the edges. 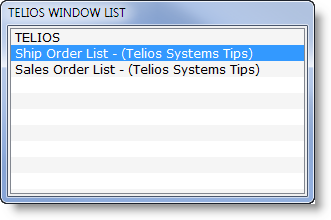 Return to Menu – When the last Telios window closes, like a bird-dog, the Telios menu will always display. 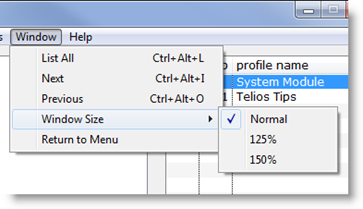 If you want the menu to display every time you close a Telios program, select this option. Help Topics– This opens a CHM help file describing about the same stuff as this article. 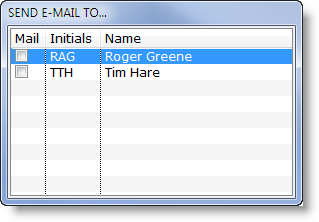 If you check names and ENTER, the program will open your default email editor and list all the names in the “To” address.